Air Compressors and Winter | Compressor-Pump & Service, Inc. 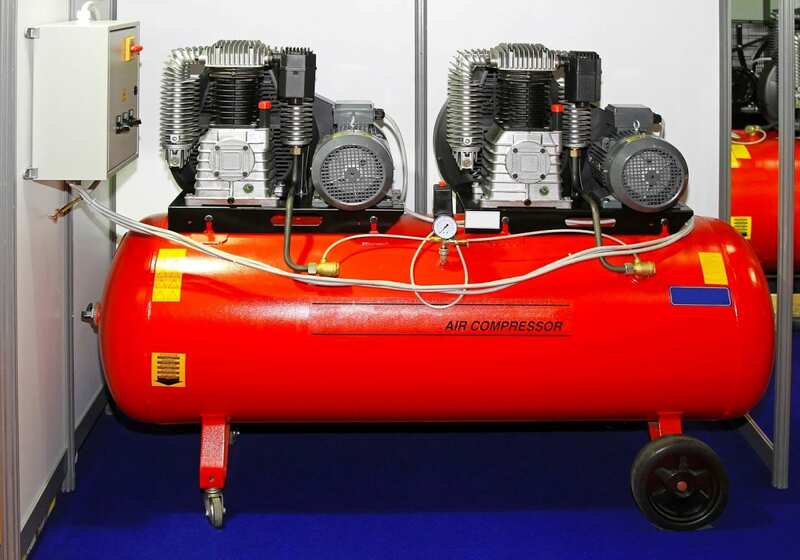 Even though winter is coming, your business might still rely on your air compressors. The winter weather can impact your air compressors, but remembering these tips will help you keep them running all year so the winter weather won’t negatively impact your business. When the temperatures freeze, you might notice problems with your air compressors. The best way to combat the cold weather and keep your air compressors running when the weather is cold outside is to maintain a warmer work environment. In milder climates, insulating your shop or garage and making sure you have tight seals on all windows and doors may be enough to keep the indoor temperature above 40 degrees. In colder climates, though, you might require a heat source to keep your air compressors at a temperature where they operate more effectively during the winter. For example, if you don’t already have a heat source, using a space heater rated for indoor use is an ideal solution. Keep the space heater near the air compressor to keep it above the recommended temperature. Make sure that you follow all safety recommendations for the space heater, such as not leaving it running while unattended. By keeping the temperature warmer for your air compressors, you help keep the air compressors running more effectively and maintain a more comfortable work environment this winter, too. Keeping enough oil in your air compressors is important if you want to keep them running without damaging them. The oil that you use during the winter may need to be different from the type of oil that you use in your air compressors with warmer temperatures. Before the weather gets too cold, change the oil in your air compressors. When putting fresh oil back in the air compressor, you may want to go with a lower weight oil than what you normally use. A lower weight of oil will be less likely to thicken up when temperatures turn cold, which is a common problem with many types of oils. Always check with the compressor instruction manual to determine proper oil. The manufacturer’s information for your air compressors may provide information about the best type of oil to use during the winter. Choose an oil that will still provide sufficient protection for your air compressors without becoming too thick in the colder weather. Your maintenance crew should be aware of the maintenance requirements for your air compressors. Then, they can focus on changing the oil, adding the right oil for the winter, and taking other necessary maintenance steps for winter. Draining the water tank on your air compressors is something you should do on a regular basis. This is an easy step to skip when you or your employees are busy and running short on time, but you should definitely make sure that you drain your air compressors’ water tanks on a more frequent basis during the winter. Consider automatic drains and heat tracing lines if necessary. Water left in the tank or in the lines of your air compressor can freeze when temperatures drop too low. This causes clogs and can even cause your tank to crack. Draining the water frequently and thoroughly helps prevent these problems. Make sure that your employees are aware that this is a necessity during the winter. You may need to use your air compressors for longer periods, particularly when you tackle big projects in your business. However, if any water freezes in any of the lines for your air compressor, this can affect the machine. Once the water freezes and causes even a minor clog in your lines, your air compressor has to work much harder to provide you with a source of air. If you notice that your air compressor seems to work harder than usual, turn the equipment off for a little while. This will help you avoid possible over heating the motor and can, therefore, help you avoid damaging your air compressor this winter. Just because the weather is cold out doesn’t mean that you have to stop using your air compressors. Contact us at Compressor-Pump & Service, Inc., so that we can assist you with your company’s air compressor needs this winter and all year long.